The first Christmas decorations have gone up in our house in the form of our Christmas stockings. In past years I have hung the two stockings that I designed and knitted; (Star Stocking and Cool Stocking) for my husband and I. I love those stockings so very much and they have been a part of our Christmas celebrations since we met. 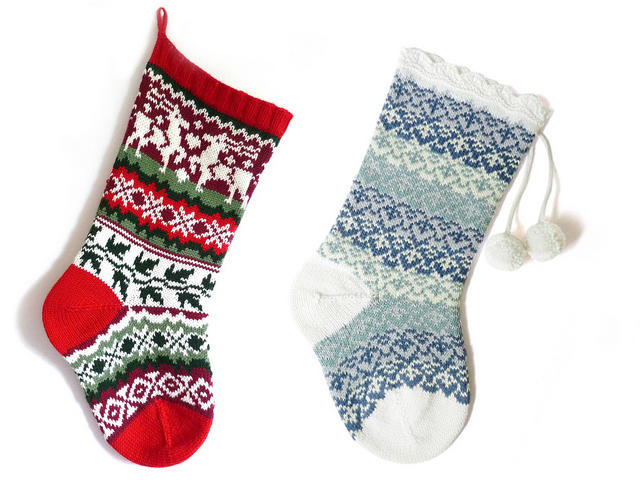 If you wanted to knit your own stockings this year and were looking for a relatively quick and satisfying knit, or just really wanted to jump start your plans for next Christmas, I currently have these stocking patterns on an offer whereby if you add both to your Ravelry cart it will automatically take 50% off of the combined price, meaning you get both patterns for $5 rather than $10. Clicking this link will add both to your cart and apply the discount for you. 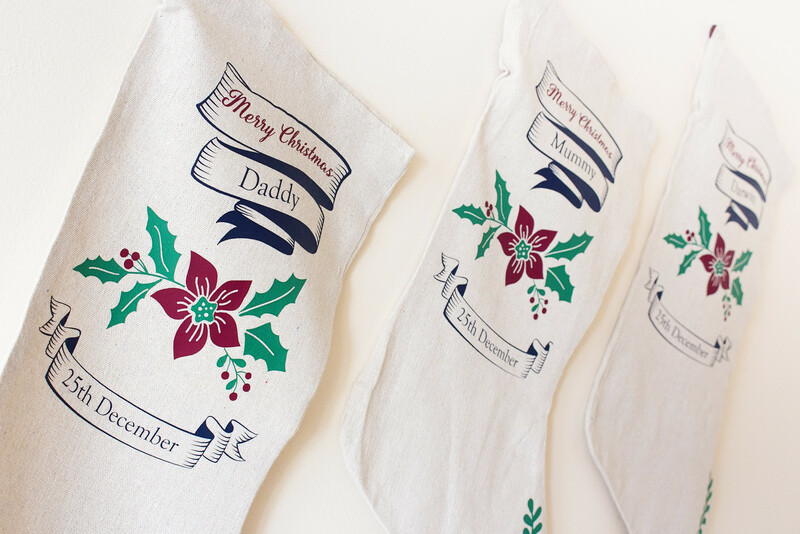 Next year I want to add a third pattern to the Christmas Stockings, that I will design specifically with my little boy’s personality in mind. 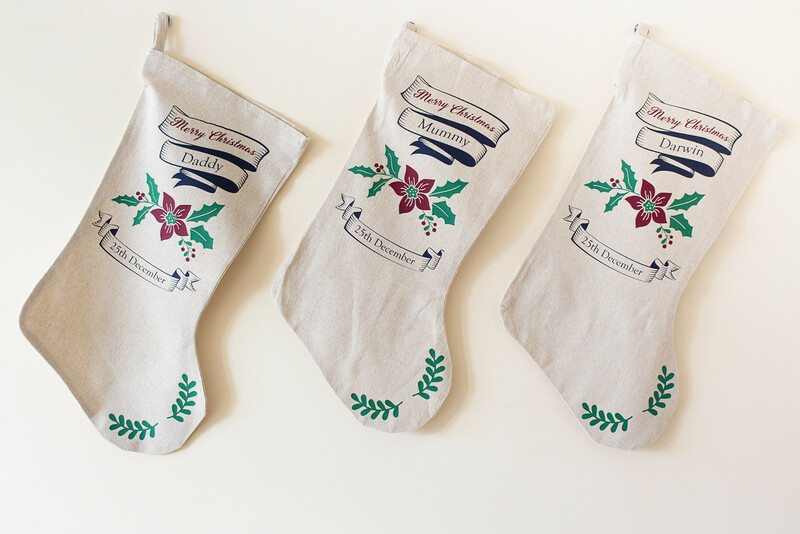 This year, however, I wanted to try a different form of Christmas stocking and make a trio of matching family stockings. 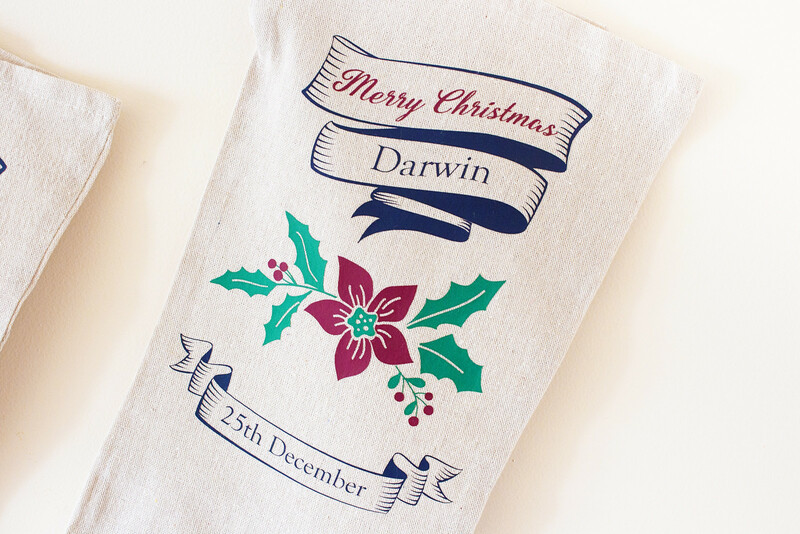 I bought the linen Christmas stockings pre-made for speed and ease. They are not the most refined stockings, and mine in particular seems to have been seewn a bit wonky, but they come at an absolute bargain of a price, when they are in stock. I cut the vinyl decorations using Greenstick Materials vinyl, which is a new brand to me but seems well priced and with a good variety of colours. I haven’t washed any of these yet, but they have adhered to the rough linen very well, even with the very fine line work that I decided to use. Astute readers will notice that there is a tiny bit of decoration missing on my stocking. I don’t know how that happened, but I shall remedy it before Christmas. Perhaps. I want for a navy blue vinyl alongside the traditional green and red because I thought it would give a little extra richness to the design, rather than using black as I might have done. I really like this colour combination on the natural, unbleached linen. As this is the first year that my toddler has really has a grasp of some of the concepts of a family celebration at Christmas I am hoping that he enjoys placing the stocking at the end of his bed at Christmas Eve so that Father Christmas can fill it with some small little magical gifts. Have you got your stockings ready and made? 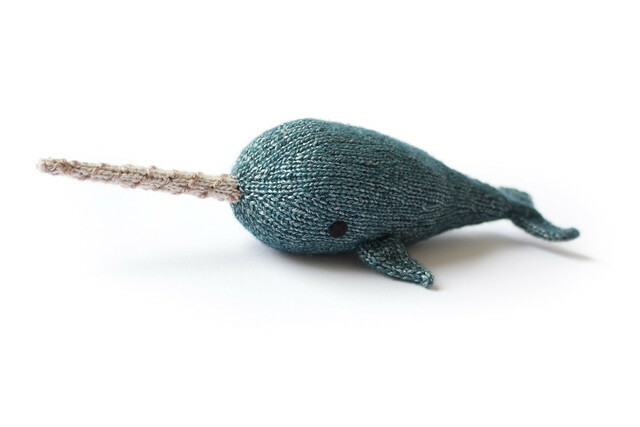 There’s still time to sew, decorate or knit your own. Hopefully Father Christmas will bring you something lovely this year, and some chocolate coins.